There are many health and safety resources you and your family can access when you need it most. The organizations below provide vital resources at low or no cost and many offer services in multiple languages. The Mental Illness: It’s not always what you think project was initiated by Sacramento County Department of Health and Human Services/ Division of Behavioral Health Services to reduce stigma and discrimination, promote mental health and wellness, inspire hope for people and families living with mental illness. Sacramento 2-1-1 connects you with more than 2,400 community services in the Sacramento area, including: employment and training; housing information; financial assistance; children’s services; senior services; food programs; health care services; and more. 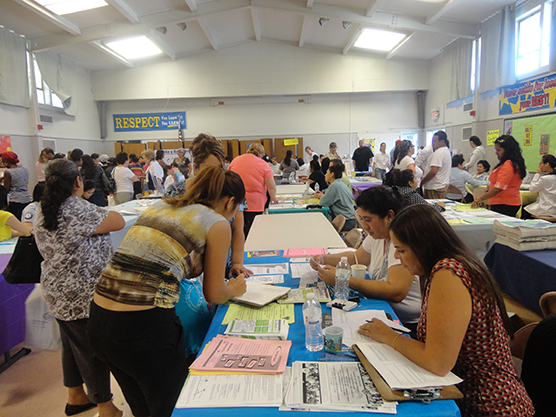 Sacramento Works provides resources and services to employers and job seekers in Sacramento County. EDD connects millions of job seekers and employers to build California’s economy. The site provides information on unemployment, disability, jobs and training, payroll taxes and the labor market. SETA provides job seekers with resources they need to become employed, as well as programs and resources for children, family resources and communities. O*Net provides occupational information and hundred of occupation-specific descriptions. My Next Move provides career information, including a career search function and tools to help you figure out what type of job best suits your interests and skills. California Rural Legal Assistance Foundation works with California’s farm workers, migrant workers and the rural poor to protect workers’ rights and health, improve children’s access to quality schooling and higher education, raise the voices of disenfranchised Californians in low-income and marginalized communities and provide essential legal services. The National Parent Helpline – 1-855-4APARENT (1-855-427-2736)—provides emotional support while helping parents navigate and problem-solve difficult situations. Crisis Nursery Program (http://www.kidshome.org/what-we-do/CrisisNursery.php) The Sacramento Children’s Home operates Sacramento’s only Crisis Nursery Program that provides support to families at times of crisis. Families can bring their children, newborn through age 5, for emergency childcare or overnight care during stressful or difficult times. WEAVE provides crisis intervention services for survivors of domestic violence and sexual assault through a 24-hour support line, counseling services, legal advocacy, prevention and education and its confidential Safe House program. My Sister’s House provides services for women and children impacted by domestic violence. Services include a shelter for women and children, culturally and linguistically appropriate intervention services, a work program, support groups, a 24-hour multilingual crisis line community outreach and education on domestic violence and human trafficking. Onefatherslove is a resource directory for individuals and families. With more then 140 categories, the directory is a comprehensive tool for findings programs and services that meet your needs. The California Association of County Veterans Service Officers, Inc. (CACVSO) is a nonprofit educational and professional organization through which California’s Veterans Service Officers help each other to do a better job of advocacy and claims work for veterans. The Sacramento Veterans Resource Center provides business services, employment counseling and training, housing services, drug and alcohol recovery services for veterans. Confidential help for veterans and their families is available at 1-800-273-8255 or by text at 838255. CalVet is the state’s leading advocate and resource for veterans to achieve the highest quality of life. Student Veterans of America provide military veterans with the resources, support and advocacy needed to succeed in higher education and following graduation. Provides assistance to both employers and workers to help manage layoffs, downsizing and restructurings lessen the impact on workers and communities. Provides information on training, job search and other assistance for workers who have been laid off or are about to be laid off. Features information about the fastest growing industries and occupations with details of skills and education required and job openings by area. Includes wage, licensing requirements and growth rates for jobs in demand. The National Dislocated Worker Workgroup, comprised of federal, state and local workforce representatives, works to develop materials, training programs, national conferences for state and local practitioners and policymakers. Trade Act programs are available to assist individuals who have become unemployed as a result of increased imports, imports specifically from Canada and/or Mexico, or a shift in production to Canada and/or Mexico.